Ke$ha will have to wait a little longer for her day in court thanks to America's weather issues. Celine Dion was reportedly too grief-stricken to attend her brother Daniel's funeral on Monday, just two days after she said goodbye to her husband. After releases covering their time on the Brunswick, Reaction and Track labels, the Who will bring their career spanning singles box sets series to a close with Volume 4: The Polydor Singles 1975-2015. 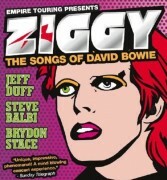 Jeff Duff, Steve Balbi and Brydon Stace will get back together for ‘Ziggy The Songs of David Bowie’ in June. 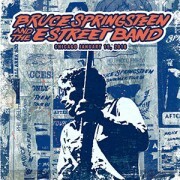 Bruce Springsteen has made his entire January 19, 2016 Chicago show available as a free download. 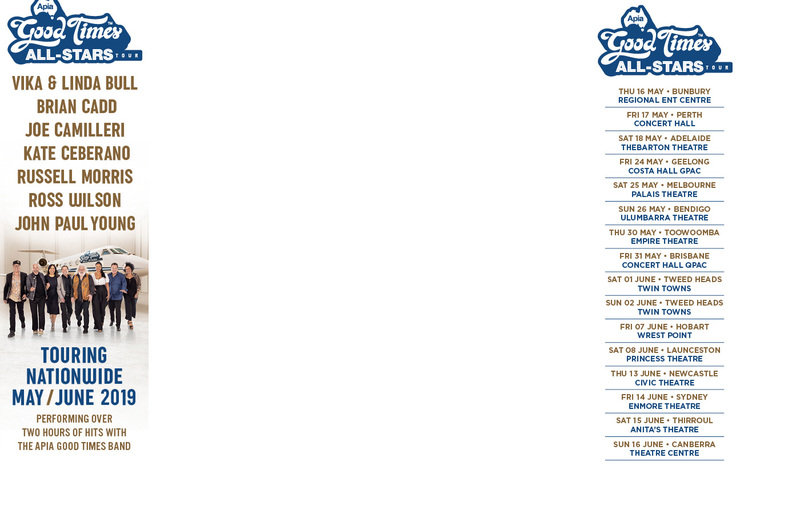 Three years ago Duane McDonald thought up this crazy idea of giving Australian music fans a great day out. Who would have thought that such a crazy idea would be a hit? Three years on, the Red Hot Summer tour is one of Australia’s most popular live events. Noiseworks will return to active duty in 2016 with their first album since 1991 completed and songs now being roadtested. Triple J has put out a press release promoting its Hottest 100 Countdown tomorrow for Australia Day and it doing so gave away its blueprint for targeting commercial radio ratings. RuPaul can't believe people think drag is his life. He calls it his "punk rock statement". The new Frank Zappa documentary, Eat That Question: Frank Zappa In His Own Words, has been acquired by Sony Classics at the Sundance Film Festival before it even premiered. 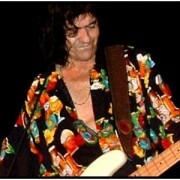 Jimmy Bain, the bassist who played with Rainbow, Dio and his newly formed Last in Line, has reportedly died at the age of 68. While there is no official confirmation as of this writing, numerous industry insiders have reported his passing while performing with his new band on Def Leppard's Hysteria on the High Seas Cruise. Celine Dion's 14-year-old son, Rene-Charles, made his mother proud at the funeral of his father Rene Angelil in Montreal, Canada on Friday by delivering a heartfelt tribute and a promise to live up to his dad's standards. Bruce Springsteen’s concert tonight at Madison Square Garden in New York City has been cancelled because of the weather. Black Sabbath have started ‘The End’ world tour and for fans at the show, brand new music is available at the merch stand. Donovan Leith Jr, son of the legendary Donovan (and brother-in-law of Ben Lee), will debut his new show Breaking Band this week on AXS TV. Aerosmith’s Steven Tyler is in New York visiting his daughter Mia and was doing the opposite of what New York City mayor is telling everyone “stay off the streets”. 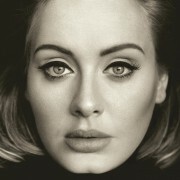 Returning to the top of the ARIA Albums Chart this week is Adele with “25” for its eighth week at the chart summit. Justin Bieber holds for a seventh straight week at the top of the ARIA Singles Chart with his track “Love Yourself”, becoming the longest running No.1 track for almost a year-and-a-half. Following a week of music tragedy with the death of David Bowie and Eagles’ founder Glenn Frey music fans have revisited their music in bulk over the past week. Did One Direction Star Have A Kid? One Direction fans were sent into a frenzy on Friday (22Jan16) by rumours that Louis Tomlinson has become a father. Iggy Azalea has taken aim at fellow rapper Macklemore after he called out the Australian and accused her of cultural appropriation in the lyrics of a new song. Handel & Hendrix in London celebrates the London lives and musical legacies of two of the most important figures in musical history, who lived, wrote and played in neighbouring buildings, 240 years apart. Michigan native Big Sean is joining rapper Meek Mill and singer Cher in ensuring the people of Flint have access to clean water. Is Beyoncé About To Drop New Album? Beyonce is rumoured to be planning to release her sixth solo album in February (16). 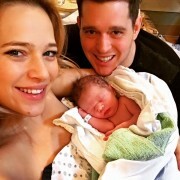 Michael Bublé and his wife Luisana have become proud parents to their second son Elías. Alice Cooper is heading out on the road for 2016. Ice Cube has waded into the row over diversity at this year's (16) Academy Awards. Celine Dion greeted hundreds of mourners who paid their respects to her late husband Rene Angelil in Montreal, Canada on Thursday. Bluesfest has hit back at an allegation by Dr. Steve Phillips that the festival is responsible for the death of multiple koalas. Had Elvis Presley lived his next producer may have been David Bowie.